Candy Bubble is an absolute beautiful candy themed bubble shooter. 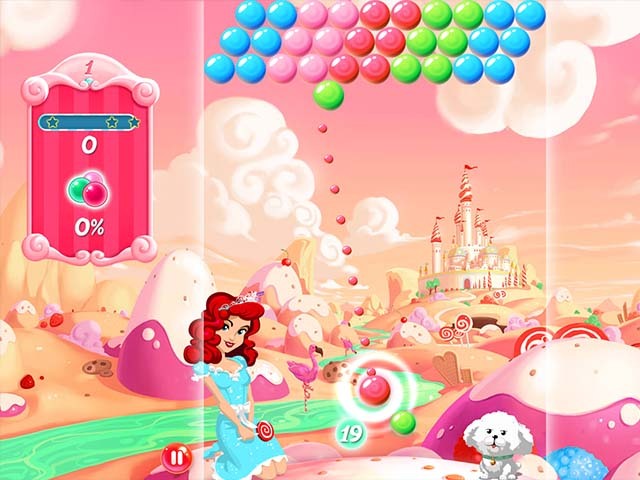 Help the princess and her cute little white dog to finish all levels in this candy saga. 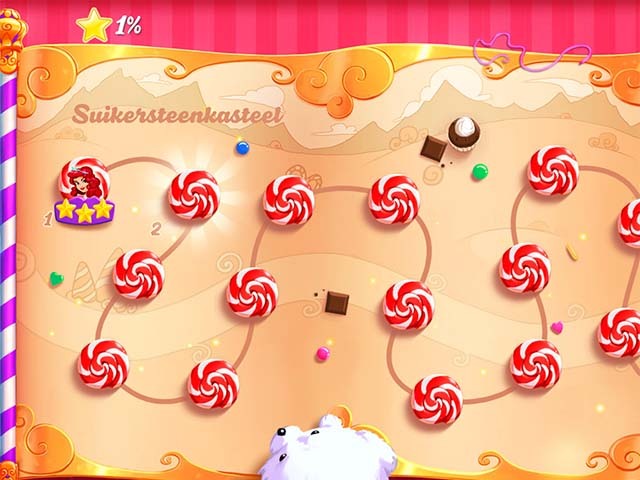 The levels start off easy, you get some tips on how to score more points or get to difficult candy bubbles. But once you are getting close to level 50 it starts to get more difficult and more challenging. The further you get the more colors you have to pop. You will also face some special bubbles. Like stone ones that can't get popped or bubbles that explode. The goal is to get at least one star per level. If you have one star you can advance to the next level. If you are fast enough you can get 2 or 3 stars per level. Your journey starts in the sugar castle with 20 levels. Once these levels are done you will go to new worlds! Your progress is shown in the top left corner of the map in a percentage of stars collected. Try to collect them all. Your progress is saved, even if you close the game! So be sure to bookmark it or to add it to your home screen to play it again later! Candy bubbles is one of the bubbleshooter.com selected preferred games! Help the princess to clear all bubbles. The map of candy bubble. Here you see the road with all levels.